If you are in a leadership role, what would leading a crew who felt this way about their work feel like? Can you imagine that work can be such a spring of well-being? For a growing number of people such engagement, enjoyment, and fulfillment in their work is not only possible, it is their current experience! The current paradigm in business and work, which has been around for the last 200 years, is centered on an “ownership-management” paradigm. Our system places the needs of the owners and those at the upper levels of management in first-position. While the current paradigm has been at the fore-front of millions of improvements, and has driven prosperity upward while reducing poverty, it also has its short-comings. It is based on a belief system that sees scarcity and limits all around, believes that the most-fit should survive, that winners take all, and (s)he who puts their own money at risk should reap the rewards. The level of consciousness of the conditioned self (ego) in this paradigm at the ownership level is driven by greed, the need for more, and protecting what’s one’s own. Egoism in the management ranks is focused on control and power, is mistrusting of people, and also seeks to further self-interests. Ego at the employee level centers on many forms of fear, as in the fear of losing one’s job should an employee displease a boss. This paradigm, while the creator of so many great things in our lives and world, is also limiting the human spirit from becoming more fully aware, more alive, more authentic. The results of this paradigm give us low levels of engagement in all areas of work. Using engagement as a measurement of productivity and effectiveness, Gallup reported in June 2015 that “the percentage of U.S. workers engaged in their jobs continued at 31.9%. Gallup has consistently found managers, executives and officers to be the most engaged workers. 40.4% of those performing in these roles were engaged, placing them far ahead of the national average and every other work role. Clerical/office workers were the second-most engaged group, at 36%, while construction/mining workers (28.3%) and service workers (28.1%) were the least engaged groups.” So basically, two-thirds of our workers in America (82 million) don’t want to be working at the place they are employed, only do the bare minimum to keep their jobs, or worse yet, are toxic and negatively infect their workspace. This is a failure of leadership. Is this really the best we can do? Are there ways to turn these uninspiring statistics around? The way ahead is through bringing on the next paradigm in thinking about the nature of people, of work, and how we come together to make things happen. The new paradigm has already begun in many organizations. 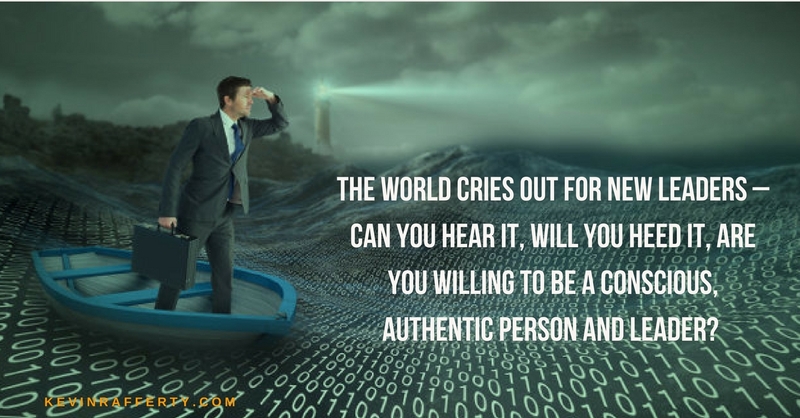 While still far few in number statistically, that has been changing over the past 20 years as more and more leaders are stepping into their own authenticity, are expanding their own levels of consciousness, and are showing up in their roles more powerfully. This new leadership paradigm is driven by conscious leadership. It comes from a higher level of awareness / consciousness that has at its center the “primacy of the human being.” This transformational consciousness integrates the four keys aspects of being human: the physical needs, mental strengths, emotional dynamics, and fuels our spiritual capacities. People are not seen as means to an end, they are valued as partners, and are invited into the flow of information and decision-making. 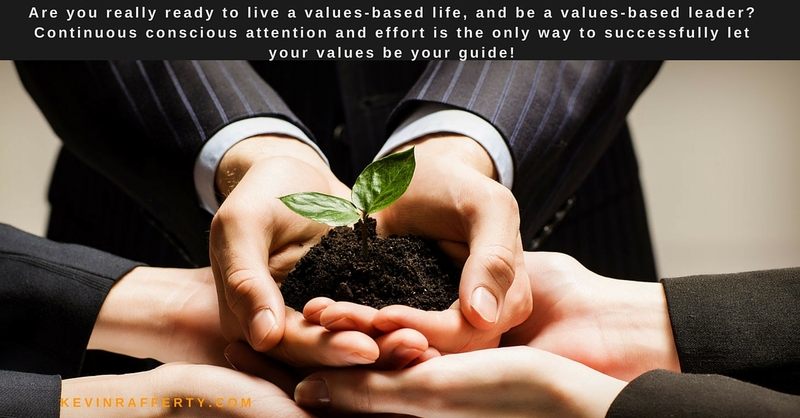 Ego gives way to authenticity, and people are welcomed to more fully ‘show-up’ at work, where their personal values, passions, gifts and sense of purpose come alive. When people align with their organization’s sense of mission and culture, they naturally, easily become more engaged, giving more of themselves and being of higher service to the organization’s stakeholders. A seminal way to expand awareness toward being a more conscious leader is to begin a journey of self-inquiry, undertaking a full assessment of one’s own core values, assess innate strengths and gifts, connect with what instigates passion, do a deep dive into determining deeply held beliefs that support and detract from happiness and success, and uncover a meaningful sense of purpose. There are many outlets and methodologies that can serve this inner quest such as meditation, mindfulness practice, personal and professional coaching, self-help and transformational books and programs, and assessments tools measuring one’s emotional and spiritual intelligence. What a person discovers on such a personal path also helps them understand and appreciate how other people tick, and allows them to expand their awareness of their leadership footprint. A challenging journey yes, but one of highest importance. If higher productivity, more creativity, increasing ROI and greater levels of happiness, meaning and fulfillment are on your agenda, then look within yourself, no matter your current role. Work on expanding your own levels of awareness, grow your emotional intelligence, tap into your own innate strengths, find your purpose in life, and consider seeking coaching. Will you be a part of building the new paradigm at work, or will you remain handcuffed to the old one? It’s your choice! 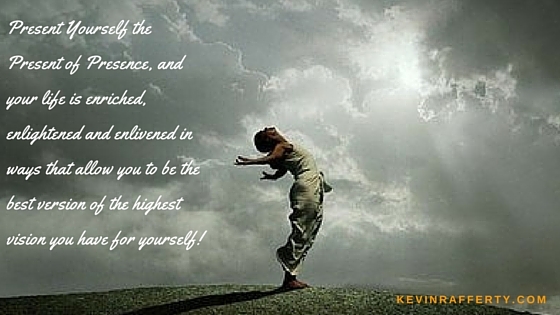 Choose consciously!